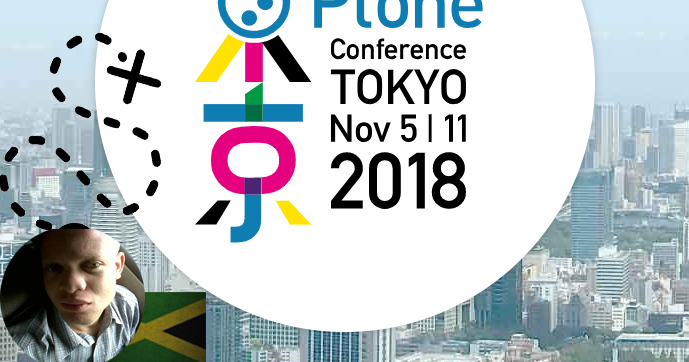 Oshane has been selected as a speaker for PloneConf2018. He just got his Japanese visa approved and is 17% funded so far. 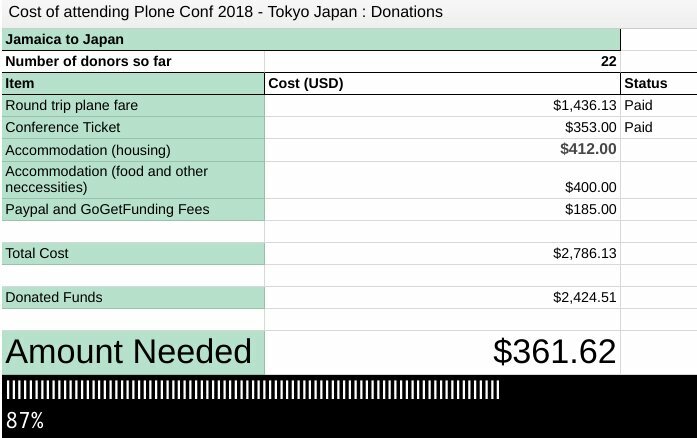 Oshane Bailey is aiming to attend and speak at the Plone Conference 2018 to demonstrate a suite of tools and techniques that Jamaicans are using to simplify the process of moving from an idea to a deployed product with Plone. maybe it is too late for that: at the sprint in Halle @polyester announced that there is a possibility to get a few tickets for ~200USD off from one of the conference sponsors. Quick update. The campaign is now 32% funded! Latest status... the campaign is almost 70% funded. we had a scare today when we thought the ticket prices had gone up by $500. Thankfully we found one that was still within the original budget. Oshane is fully funded and on his way. Thank you to all who made his trip possible.